We made the best choicesubmitted by Kristen M. - Feb 05, 2019 |Recommended: YesThis complex is superior to many of the other ones we looked at before signing. There is so much space inside our unit plus we got the patio and storage unit The floors are all vinyl and tiled, bathroom is perfect, plenty of cabinet space in the kitchen. We really love this complex especially for the price and no weight limit for my doggo Our building is soooo quiet and our neighbors are very friendly. There is always parking and the courtyard is well lit. We made the best choice The only thing that drives me nuts but isn't relevant to every single unit my upstairs neighbor gets up and stomps around every night at 3AM. It wakes me up every night but that is not the norm for all units obviously. Nice apartments and friendly neighborssubmitted by Randall A. - Jan 24, 2019 |Recommended: YesWe have been happy with our time living at Hidden Lake apartments so far and would highly recommend the apartments to others. The neighborhood is safe and the neighbors have all been friendly. When there are issues with the apartment they are addressed in a timely manner and the staff are very efficient and helpful. Parking is plentiful and we never have issues finding a spot. There is a towne center at a walking distance that has a pizza place, convenience store, dry cleaning and more which is very convenient. Overall, it has been a great experience. 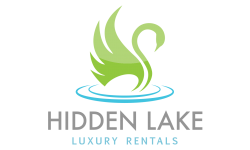 response from property - Thank you, Stephanie, for taking the time to give your review of Hidden Lake! We are so happy you chose to make Hidden Lake your home and we look forward to providing you with the customer service you deserve! Have a wonderful new year! Well-Maintained, Quiet Communitysubmitted by Willetta B. - Nov 05, 2018 |Recommended: YesBeautiful complex with helpful staff and maintenance. Very Nice staff.submitted by Antonietta F. - Oct 02, 2018 |Recommended: YesMaintained well. Nice safe and clean. I love my apartment.submitted by Ashlee D. - Aug 31, 2018 |Recommended: YesI actually love the development. My only concern is that I can hear the neighbors upstairs and the bugs. Overall I am satisfied. Nice apartment with storagesubmitted by Oni Y. - May 30, 2018 |Recommended: YesUpgraded apartments are nice but thin walls. Nice to have in apartment washer and dryer and central air. Great placesubmitted by Tina M. - May 09, 2018 |Recommended: YesNice residents, spacious apartments, and very responsive staff. Overall, pretty goodsubmitted by Keira W. - Apr 14, 2018 |Recommended: YesThere is always parking. When we've needed maintenance, it's been touch and go. Sometimes they were on top of it and other times they never came at all. I can hear my neighbors and that is extremely irritating. The complex is very nice and landscaping is good, but we've had a broken stair for months now and all they've done is put a cone on it.